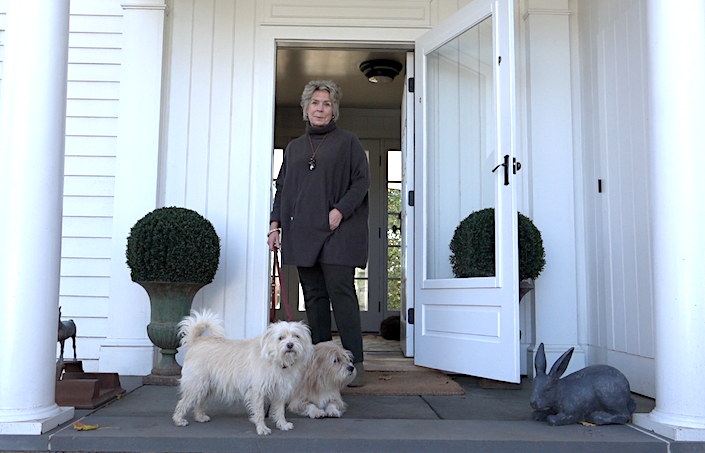 Over the course of the past year while making the book At Home with Dogs and Their Designers, Susanna and I were privileged to visit the beloved dogs of 21 top interior designers. As we sought to capture the incredible bonds they have with their humans and the amazing lives they live together, we couldn’t help but think of all the dogs out there that haven’t yet found a forever home. We hope this little short film will inspire people to consider welcoming a dog in need into their lives. Special thanks to all the designers and dogs from the book who participated! Look for a full review of the book later this week! This entry posted in interior design, Quintessence video series, Stylish Shopping, video. Entry Tags: dogs, interior design, pets, Video Bookmark the permalink. Beautiful! Amazing video! Every dog deserves a home! Love my rescued dobies! Life wouldn’t be the same without them. i love this. we adopted our doggy and she is the best thing ever!!! i would never go anywhere but the local shelter for a dog or cat. they make the best pets. i look forward to buying your book. i am also so happy to see so many others who love their dogs as much as i love mine. Makes me cry thinking of all those sweethearts, some of whom don’t even know what a loving home is. 85 queries in 2.047 seconds.